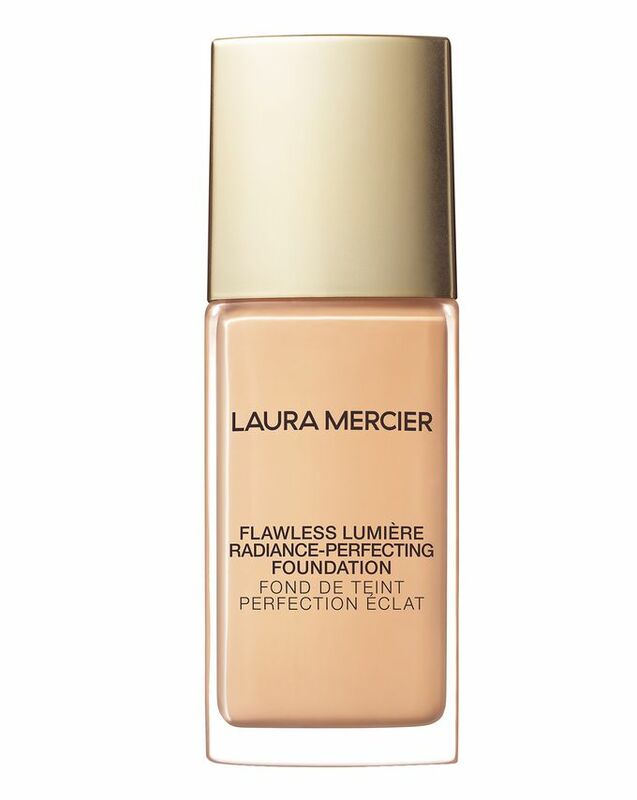 Pioneer of the ‘flawless face’, Laura Mercier’s Flawless Lumiere Radiance Perfecting Foundation illuminates skin while providing high coverage so lightweight you’ll wonder where your skin finishes and the foundation begins. It delivers a subtle radiance to skin in more ways than one – not only does the formula have a seemingly airbrushed glowy finish, it is also infused with vitamin C to gradually improve your complexion’s natural luminosity over time. Available in 30 shades, the long-lasting formula offers such seamless medium-to-full coverage that it’s bound to become your new go-to. 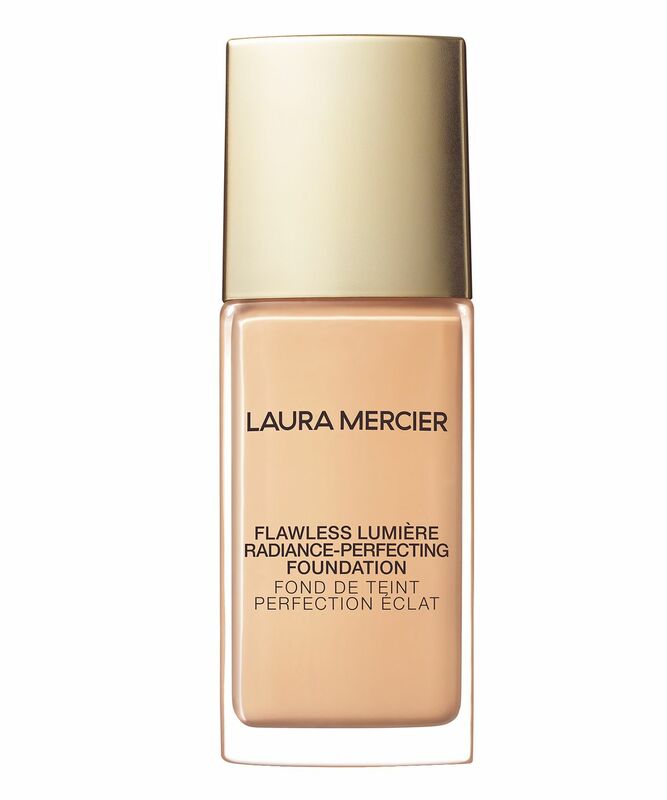 Imparting a subtle glow, Laura Mercier’s Flawless Lumiere Radiance Perfecting Foundation provides medium-to-full coverage with a soft illuminating finish. The hardworking formula blends beautifully into skin, evening out skin tone and disguising blemishes while somehow remaining undetectable. How does it achieve such flawless results? We’re glad you asked. The formula is spiked with flexible polymers which melt into skin for a natural-looking finish. Formulated with vitamin C, it gradually improves your natural radiance with continued use so that over time you can flaunt glowing skin even when you’re barefaced! The foundation delivers 15 hours of hydration thanks to silver ear mushroom extract, a moisture powerhouse that noticeably smooths skin while softening the appearance of fine lines. In 30 shades, it’s the ultimate ingredient for a flawless, natural-looking finish. Apply to skin and blend out using the Luminous Foundation Sponge, your fingers or a foundation brush. This foundation gives a gorgeous, natural glow. It’s buildable, medium coverage. Lasts around 8 hours then starts to fade nicely, you don't get missing patches or crusting. I've been a long time fan of Laura Mercier's flawless fusion foundation, but that one is a little too matte for my taste. When I saw them coming out with this I knew I had to have it. It has a nice natural finish (not dewy but also not matte), did not cause me acne (I have VERY acne prone skin), it is medium to full coverage (but looks like skin) and it lasted on me at an event for 24+ hours I am a dancer, believe me this foundation is a trooper). Details about me: I have adult acne and veeeeery oily skin. Details about the foundation: I got mine in 1w1 (and in estee lauder i'm 1w1) and the colour match is perfect for me. Not orange, just perfect. I would recommend this product to people with normal to oily skin. I'm quite picky with foundation being spoiled by La Mer foundation its hard to choose cheaper everyday alternative. But I found it. I’m combo with oily nose but dry cheeks. I've tested it for few days, with primer, without primer. It sits on the skin beautifully even without primer. At the end of the day my nose gets shiny, but rest of the face looks great and doesn't crack. Just perfect for every day. Reminds me of Luminous Silk with the way it sits. Really nice! The foundation looks ok but I'm not super impressed, as the look is not that natural even though I've applied a small amount with both a beauty blender and a brush. I guess I'll wear it for longer to see if it improves the luminosity of my skin.